One of the wedding couples I have performed for. Playing for a wedding in Vail. Downright Saxy is a one man band that performs instrumental covers of Oldies/Top 40's Hits and Jazz. Downright Saxy is the perfect choice for low to medium sized budgets for private events, weddings, corporate parties, festivals, cocktail hours, and more. This act has the added benefit of being able to play in smaller sized event spaces and is able to keep the volume from getting too loud. 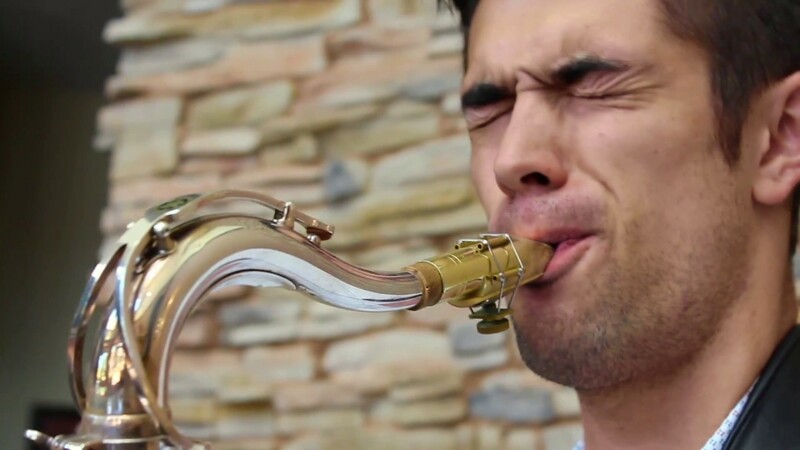 Jeff Miguel plays the vocal melodies live on tenor saxophone and uses a pre-recorded rhythm section to fill out the sound. Jeff Miguel has a M.A. in Music with an emphasis in Jazz Studies and he received the Downbeat Student Music Award for Best Blues/Pop/Rock Soloist in the Graduate category in 2016. We hired Downright Saxy as a 5 piece New Orleans Style Jazz Band for our Mardi Gras party. They knocked it out of the park and helped make the event a success. We would not hesitate to hire them again! Having Jeff play our Ladies Night Out event was great. We received a lot of positive feedback. Jeff was professional and obviously a really good saxophonist. Thanks Patrick! I had a fun time playing! Jeff was wonderful! We held a business anniversary party and he totally set the mood for the evening. It was wonderful and all of our clients were asking about him. Great job, Jeff! We will definitely be using him again. Downright Saxy is a fantastic musician. Jeff was so great to work with and is incredibly talented. He joined our band for the day and was so kind and easy to be around. I would definitely recommend hiring Jeff for your next event. Thanks Kelsie! I had a great time playing with you guys. I look forward to the next time! Jeff Miguel, the Downright Saxy guy, was a huge hit for our Friday Happy Hour at Kipling Meadows Independent Retirement Community. He had a great song selection and sound system. He was a very classy performer. We will definitely have him back! Thank you! I'm looking forward to playing again! I handle all aspects of preforming and amplifying the music. Downright Saxy is a variable size band(from solo act to 5 piece) that performs Jazz or Oldies/Top 40's Hits. 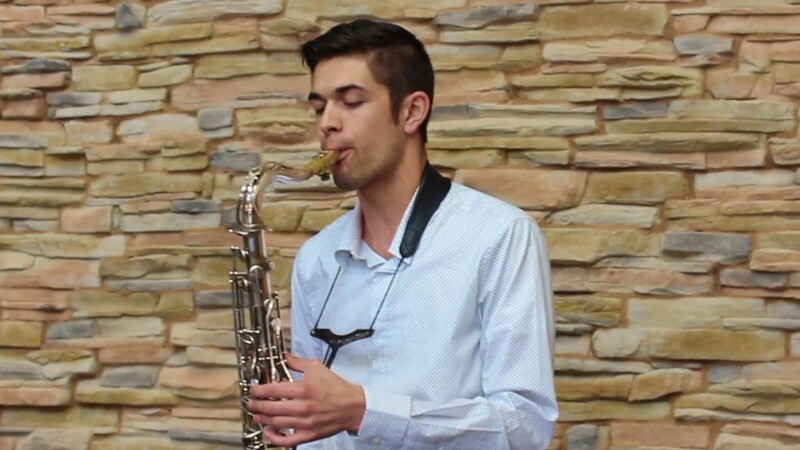 Downright Saxy is the perfect choice for low to medium sized budgets for private events, weddings, corporate parties, festivals, cocktail hours, and more. 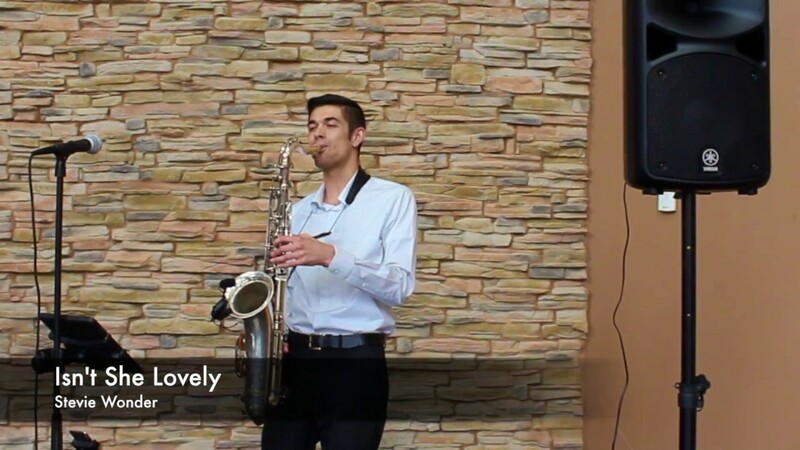 Downright Saxy performs instrumental covers of classic hits and today's hits. 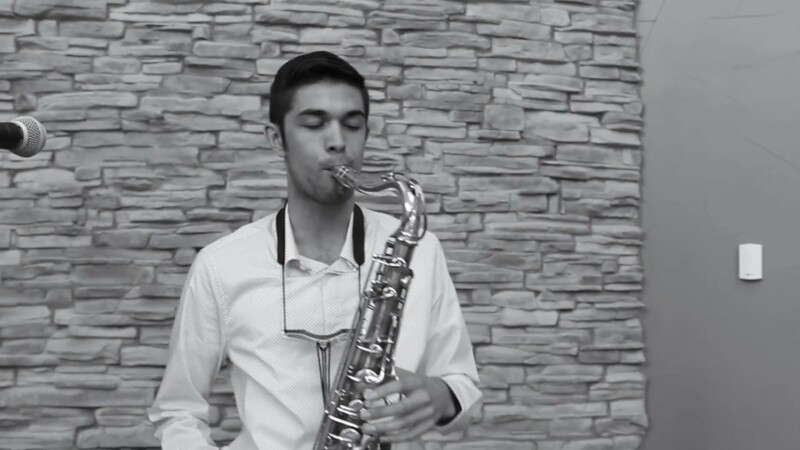 Jeff Miguel plays the vocal melodies live on tenor saxophone and uses a pre-recorded rhythm section to fill out the sound. Additional live musicians (such as drums, bass, guitar, and piano) can be added to create a full band. All the songs can be done as the original full versions, or they can be performed as slimmed down acoustic arrangements(see videos for examples). 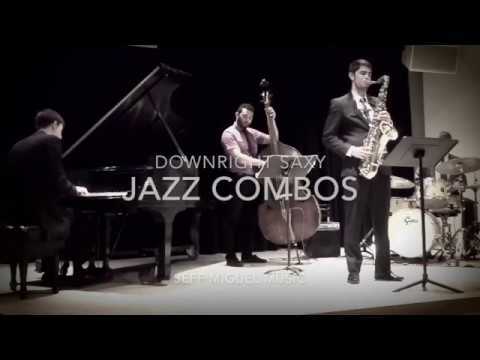 Downright Saxy also represents a selection of jazz combos. Playing jazz standards from various eras, Downright Saxy can provide Solo, Duo, Trio, Quartet, or Qunitet jazz bands for events. Jeff Miguel has a M.A. in Music with an emphasis in Jazz Studies and he received the Downbeat Student Music Award for Best Blues/Pop/Rock Soloist in the Graduate category in 2016. He has been performing professionally for several years and has performed at weddings, jazz festivals, corporate events, private parties, jazz clubs, restaurants, and many more events across the country. I just need a standard power outlet and a small amount of space. Stevie Wonder, Michael Jackson, Marvin Gaye, Bruno Mars, Amy Winehouse, Beyonce, Ed Sheeran, Al Green.